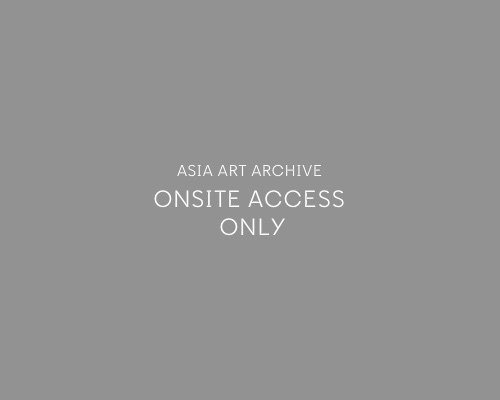 This interview is part of the Hong Kong Art History Research - Pilot Project, a collaboration between Asia Art Archive and Hong Kong Museum of Art. It was conducted at Wucius Wong's studio on 1 August 2013. In this interview Wong shares his experience of curating in the Museum of Art, which was founded in 1962, recounting some of the memorable early exhibitions for a museum in the making. This interview also considers Wong’s exchanges between Taiwan and Hong Kong in 1960s. Wong lives and works in Hong Kong. Simon Chiu worked in the Hong Kong Museum of Art from 1988 – 1993 and left the museum as Assistant Curator I (Modern Art). During his tenure, he curated various exhibitions, including the Hong Kong Artist Series (1990-2) that featured artists as Ha Bik-chuen, Leung Kui-ting, Cheng Wai-kok, and Wang Siu-ling. Chiu is the programme director of Art Farm, a Hong Kong-based art education institute that collaborates with different partners to provide outreach art activities and training for young people.